You are here: Home » The KUBE team is excited to be exhibiting in these up and coming trade shows. IHS GlobalSpec’s FREE Alternative & Renewable Energy online event will focus on technologies and the latest in product introductions and enhancements across the four technology sectors that make up Alternative & Renewable Energy: Solar Power; Wind, Water and Geothermal; Fuel Cells and Hydrogen; and Biomass and Battery technologies. 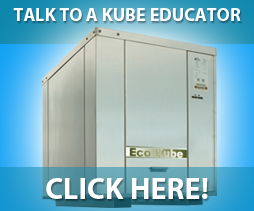 Similar to a webinar, KUBE’s staff will be available via online chat, email, and phone. Registration for this event is free and this is a great opportunity to connect in a trade show setting without any time-intensive travel requirements. We excited to connect with you in this innovative trade show format. Please see the link below to get a better idea of the show environment. We will keep you updated on this webinar and will send out log-in information prior to the event. From May 31 - June 3, 2013, nearly 2,000 municipal leaders will come together to discuss key issues and challenges their communities face. KUBE Solutions will be exhibiting at the Trade Show on May 31 and June 1. We are delighted to have the opportunity to introduce KUBE Solutions to municipal staff from across Canada and we are looking forward to discussing how KUBE can offer solutions towards financially and environmentally sustainable municipal infrastructure. Check out the conference details by clicking on the link below. The KUBE Team will be at the CaGBC trade show on June 5-6 and is looking forward to meeting green building professionals at this event. We are looking forward to discussing how KUBE’s Solutions can contribute to your sustainability goals. Recently, the installation of a KUBE system was one of many contributing components to the recent award of LEED Platinum certification for the Nova Scotia Power Corporate Head Quarters in Halifax. This waterfront office building features a KUBE System that uses seawater as an energy source and energy sink for both heating and cooling.